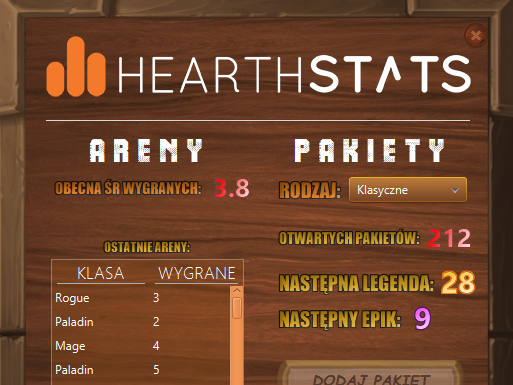 Private statistic application for HearthStone game. You can follow your arenas/boosters statistics. Projects includes 5 Java design patterns.